The 100% non-smoking Hilton Garden Inn Chattanooga/Hamilton Place hotel is conveniently located off of Interstate 75 at exit 5. Nestled perfectly between the Downtown Chattanooga attractions and the Chattanooga Metropolitan Airport, the Hilton Garden Inn Chattanooga, TN hotel is ready to help you relax and enjoy your vacation or corporate venture. Hamilton Place Mall, Tennessee's largest shopping experience, is only a few blocks away and is surrounded by over 100 restaurants. The Hilton Garden Inn Chattanooga, Tennessee hotel is centrally located to several corporations and is the perfect home away from home during your business travel needs.Above and Beyond ordinary Chattanooga HotelsThe Hilton Garden Inn Hamilton Place hotel in Chattanooga has a newly remodeled, modern lobby and 112 spacious guest rooms, including our King Evolution guest room with the Garden Sleep Systemâ?¢ bedding that allows you to adjust the mattress to your satisfaction. 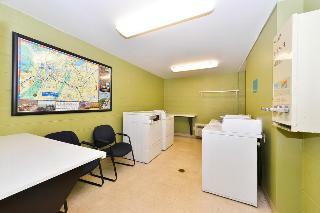 Our standard guest room amenities include microwave, coffee maker, refrigerator, hairdryer, iron and ironing board. We also invite you to relax and enjoy these above and beyond ordinary amenities in each guest room:* Complimentary wireless high-speed Internet* Spacious work desk with ergonomic MirraÂ® chair by Herman Miller* Two phones with data port and voicemail* 32" flat panel television with Lodgenet* Comfortable sitting chair with ottomanThe Hilton Garden Inn Hamilton Place hotel in Chattanooga, TN has 1,950 sq. 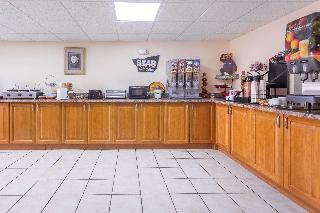 ft. of flexible meeting and banquet facilities available, as well as a 240 sq. ft. boardroom. The newest addition to the Hilton Garden Inn Chattanooga Hamilton Place hotel is the Library that is located in the hotel lobby. This meeting area may be reserved for private functions or is available for the public to use during their visit. City centre - 20.200 Km. Nearest Bus / Metro Stop - 230.000 Km. 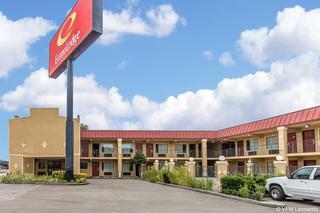 This charming hotel enjoys a great setting in Chattanooga, lying within easy access of Hamilton Place shopping centre. 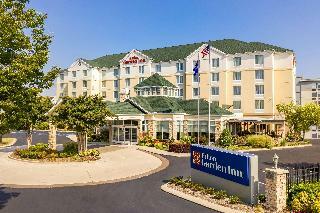 The hotel lies just a short walking distance away from Chattanooga's historical district. Guests will find themselves just a short distance away from Ruby Falls, as well as The Creative Discovery Museum and The Tennessee Aquarium. This delightful hotel lies just a short walking distance away from a seemingly boundless array of theatres and dining options. 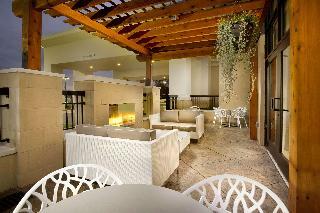 This wonderful hotel greets guests with the promise of a memorable stay. 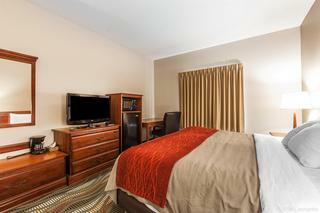 The guest rooms are tastefully designed, and come complete with modern amenities. Those travelling for work purposes will appreciate the range of business facilities and services that the hotel has to offer. Guests can enjoy an energetic workout in the fitness room, or can simply relax and unwind amidst the peaceful ambience that the hotel enjoys. This charming hotel can be found in Suburbs. This establishment does not accept pets. This charming hotel can be found in Suburbs. There are a total of 137 units at Holiday Inn Chattanooga - Hamilton Place. In addition, Wi-Fi access is offered at the establishment. Travellers are welcomed in a lobby with 24-hour reception. Unfortunately, there are no rooms where travellers can ask for a cot for the little ones. This is not a pet-friendly property. Customers arriving by car may leave their vehicle at the accommodation's parking spaces. 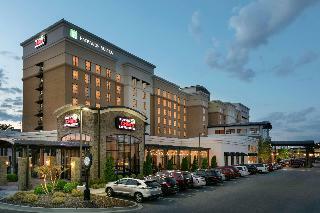 Holiday Inn Chattanooga - Hamilton Place has functional business facilities, ideal for business travellers. 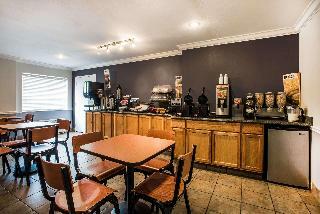 This hotel enjoys an ideal location near the Cracker Barrel restaurant and shops and within 3.2 km of Look Out Mountain, Point Park, Ruby Falls, Rock City and the incline railroad. It lies just some 5 minutes' drive from downtown Chattanooga and is about 7.3 km from the AT&T Field and the Creative Discovery Museum, roughly 7.4 km from the Chattanooga Regional History Museum and approximately 7.6 km from the Tennessee Aquarium. 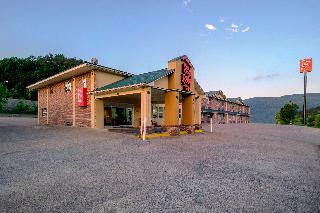 This air-conditioned, charming and clean motel comprises a total of 73 well appointed guest rooms. In addition to a lobby area with a 24-hour reception and check-out service, facilities on offer to guests include a hotel safe, a cloakroom, lift access to the upper floors and a newspaper stand. 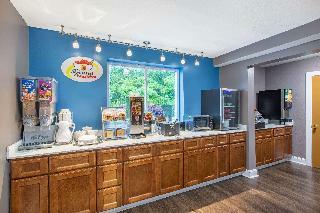 Guests can dine at the restaurant and they will appreciate the wireless Internet access and laundry service. There is a car park for those arriving by car. All rooms come with an en suite bathroom with a shower/bathtub and a hairdryer and offer a king-size bed. They are equipped with a direct dial telephone, cable TV with HBO, a radio, Internet access and a safe. Furthermore, a mini fridge, a microwave, tea and coffee making facilities, an ironing set and individually regulated air conditioning and heating are provided in all accommodation as standard. Guests can enjoy a refreshing dip in the seasonal outdoor swimming pool, with its sun terrace and sun loungers. The hotel serves a continental breakfast. Guests arriving from the North should take the 75 South to I-24 West Chattanooga, Birmingham and exit at 174 Tiftonia. Turn left and then right at the first traffic lights. The property is on the left. 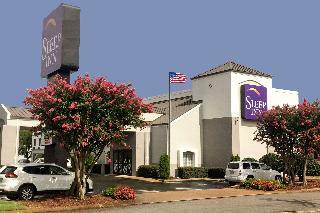 Begin your Chattanooga adventure at our Travelodge Chattanooga/Hamilton Place hotel near Lookout Mountain. We are only two miles from Chattanooga Metropolitan Airport (CHA) and minutes from celebrated Chattanooga attractions Rock City and Ruby Falls. 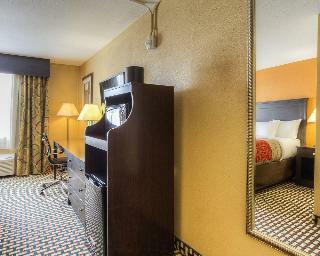 We are 20 minutes from downtown attractions and business destinations.